Mormon Moms: Happy or Unhappy Mother's Day? Happy or Unhappy Mother's Day? Whether you are a mother or not, or whether you had a good day yesterday or not - we honor you. We submit our sincere support and love to all - whether lives are easy or difficult. A dear friend recently lost her mother by way of a severe and heartbreaking 'disowning'. My soul has swelled in her behalf many times and I don't know of many who could have endured all she has in her hard life. I admire her courage and tenacity amidst heartbreak and sometimes even utter despair. She's overcome more than anyone I've ever known and is a continual example to me of how her faith has gotten her through and how the Lord has been her closest companion all of her life - particularly when she was on the streets at age 14. To all who suffer or struggle or who have grieved the loss of an ideal situation - we share our love and support. We know, by personal experience, that off-times life is very hard and not 'fair'. Some who seem to 'have it all' are often unaware, or perhaps negligent, of those in their midst who may be in great pain. Another friend texted me yesterday after church and told me that she just couldn't attend her congregation on Mother's Day. Both her parents have passed on and she has no family support from those who should be there for her. She's had major health challenges her whole life and has been in a wheelchair for about 20 years. Her desire for spouse and children has never been met - yet she faces life with courage and is an example to all around her. But, even so, she said that she just could not face hearing ideal mother's day talks from the well-meaning, yet perhaps somewhat insensitive speakers. I know what she means. And, I understand some of the heartache pain that accompanies unmet needs, desires and longings. Perhaps at times like this - we could be more sensitive to those around us who do not have their righteous desires met. Many are of the noble and faithful who serve and care for others'. Perhaps those who do have loving marriages, spouses, children etc. might ponder on those who don't - and try to lift and acknowledge and pray for those whose hearts may be breaking as ideals are held-up. Rightly so, we honor womanhood and motherhood. I believe, as do many on here, that those are the greatest and most noble callings in life. They are to be treasured as priceless - and honored and revered. They are to be sought after correctly and used to help build up the Kingdom of God on earth. Yet, even so, during that holding-up of the goal - may we be more sensitive and mindful of those who aren't blessed with those things at present - through no fault of their own, and who would do anything they could for those blessings? Might we add an addendum to our speeches of gratitude and include concern for those who are either childless, or motherless, or who have lost home and family, or those who have been abused and neglected, or who have wayward children, or who have suffered all variety of life challenges which excluded the blessings of having a Happy Mother's Day? Thank you all for the goodness you portray. We're in this together, trying to make things work, giving it our best, struggling to learn and grow and overcome - as we work with those around us who also struggle. What a blessing it is to have life - yet what a challenge to become refined as we do so. Yet, as we've said before, it will all be worth it. It's all for good and something we longed for before we came to earth. Someday we'll be able to know more of the why's - but, for now, we know that they are for our learning and growth and progression. May we make the path easier for one another by sharing our love and support as the Savior taught. how they grow, how they grow." And guide them with His eye." He knows the meadows where they feed." 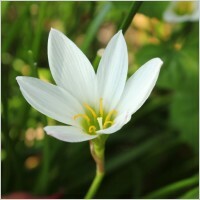 "He clothes the lilies of the field. Who must suffer on this earth..."
And make their hearts as gold."